The URL of the web service will be entered here. With the key combination ALT + . the URL of the bank code web service of United Planet will be automatically entered in the URL field. The web service is requested without authentication. With this method, a user and password for logging in to the service can be entered here. A web service file can be integrated here. 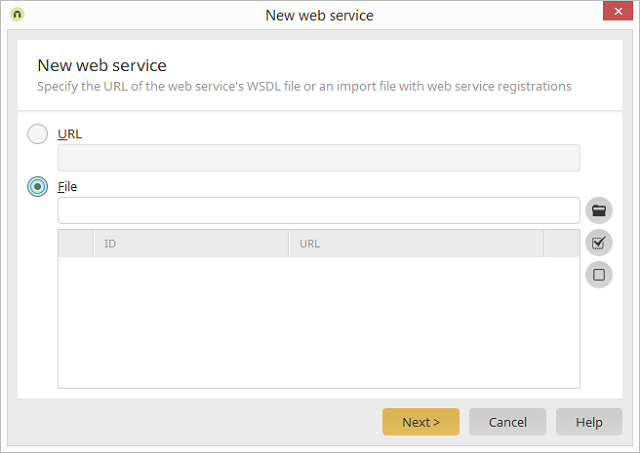 By selecting a file, all web services contained within it will be listed in the table in the lower area of the dialog. 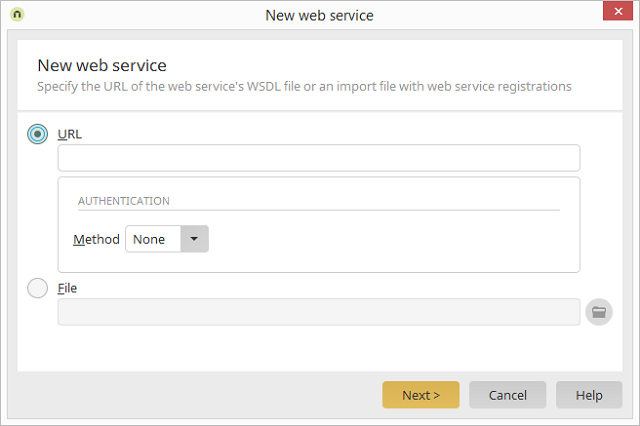 They can be added individually to the import by marking the checkboxes next to the IDs of the web services. All web services will be selected for the import with this button. This will cancel the selection.